U.S. consumer sentiment unexpectedly dipped in October, according to the latest survey from University of Michigan. 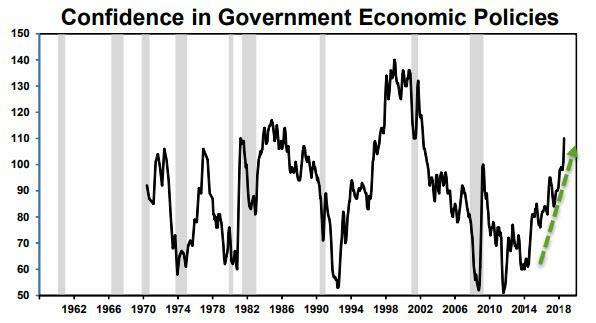 The small decline was due to less favorable assessments by consumers of their personal finances. 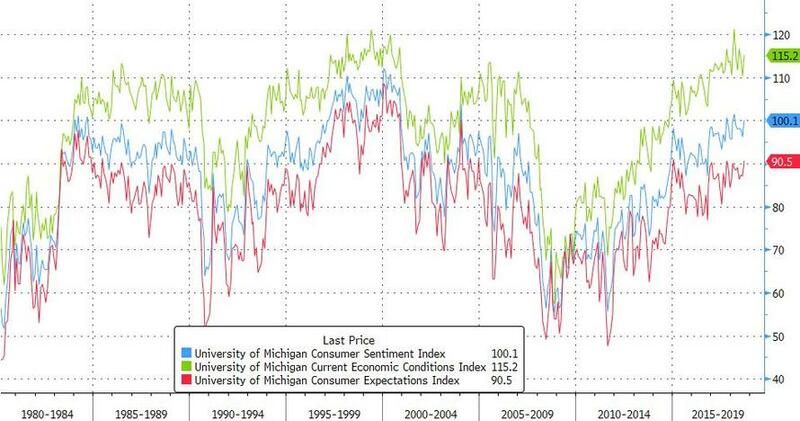 “Consumer sentiment slipped in early October, although it remained at quite favorable levels,” Richard Curtin, director of the University of Michigan consumer survey, said in a statement. Most of the October gain was due to an upward adjustment by Democrats, although their evaluations were still well below the much more favorable evaluations of Republicans. When asked about the upcoming election and its potential impact on their own personal finances and on the overall economy, consumers more frequently cited Republicans than Democrats as having a positive effect, with margins of 35% versus 26% for the overall economy and 34% versus 24% for the their own personal finances. Finally, we note that consumers’ views of buying conditions for vehicles grew more negative, as the fewest consumers since 1984, just 16%, cited low and attractive pricing; renewed strength in jobs and incomes were the most cited reasons for purchase plans. 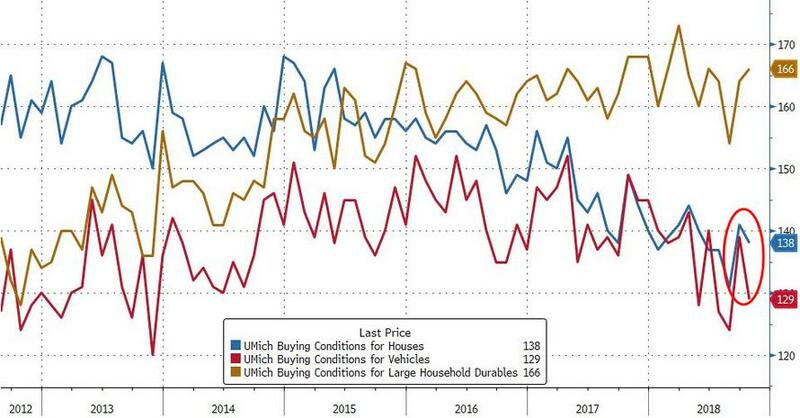 Current home prices for buyers were also judged unattractive; one-in-four favored purchasing in advance of rising mortgage rates. The size of the gain in home prices, however, was expected to decrease over the next five years to just 2.0%. Notably, UMich points out that this week’s sharp drop in U.S. stocks overlapped with survey interviews by only one evening, “having virtually no influence on the early October data,” according to the report. The poll was conducted from Sept. 26 through Oct. 10, the day the S&P 500 index fell by the most since February.